It’s an exciting time for birding in Costa Rica. Although the presence of accessible quetzals, Snowcaps, and glittering tanagers probably make that statement one for the Captain Obvious playbook, really, it is an exciting time to be birding up in here. Nope, it’s not the dry season and few birders visit in September and October but the local birding community is out in force and smiling. 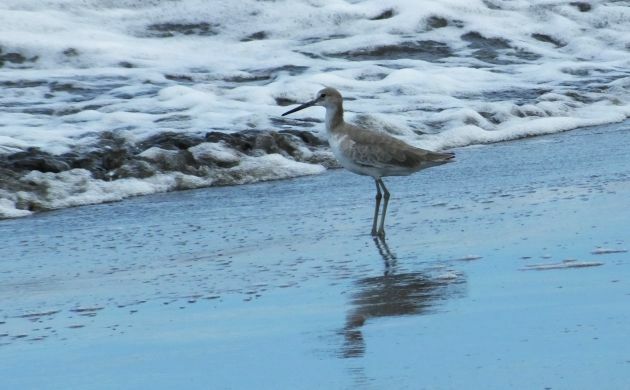 Migration is happening in Costa Rica and the avian movements are fierce. 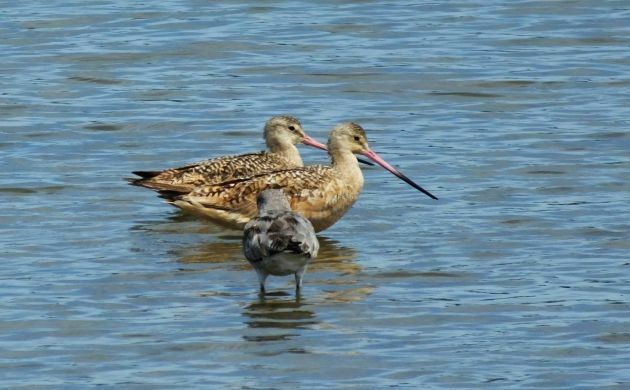 Just like Frog and Toad being friends, these two similar sized shorebirds with similar names seem to also always be together. It’s probably just a function of using the same coastal habitats but it’s uncanny how often one Willet will be present along with just one Whimbrel. A Willet from a couple days ago. Ye olde Long-billed also shows up in freshwater habitats but in much smaller numbers than its Shorter billed kin. 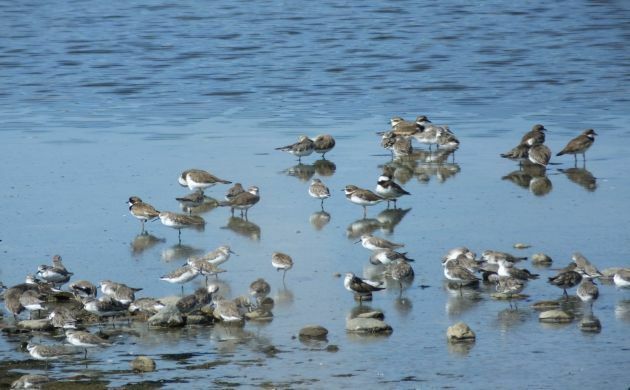 Hundreds of these cool, snipeish sandpipers are typically seen at coastal shorebird hotspots. I really love this bird. The orangey, white, and black pattern, and funny, dumpy appearance just make it look like a really cool bird no matter how often I see it. We don’t get huge numbers but we usually see some turnstones bumbling along when birding coastal areas. We don’t get huge numbers but I usually see a few Greaters and then, eventually, Lessers especially in fresh water wetlands. The best part of these lanky Tringas might even be their vocalizations. It might be that the ringing sounds of yellowlegs remind me that once again, I am shorebirding, this time somewhere far from the algae on the northern shores of Lake Erie and the wetlands of the Iroquois but still looking for birds that fly so damn far between breeding and wintering grounds. There’s something magical about it, hearing those yellowlegs vocalize. They bring me to other places. Having come from nearly godwitless Western New York, I have a special appreciation for every single Marbled Godwit standing out there on a mudflat. Counts of anywhere from twenty to eighty Marbled Godwits are standard when birding Chomes or Punta Morales; two of the main shorebird hotspots in Costa Rica. An abundance of Western Sandpipers migrate through and winter in Costa Rica, and they are joined by fair numbers of Semipalmateds. As most birders would guess, Least is our other most common peep, Baird’s and White-rumped being rather rare. 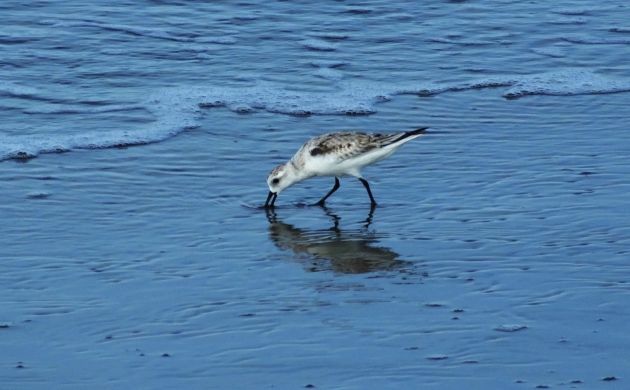 Oh yeah, and I almost forgot the Sanderling. The pallid wave chaser also winters in Costa Rica. Chasing some waves in Puntarenas. Costa Rica sees passage and wintering of good numbers of this striking bird. 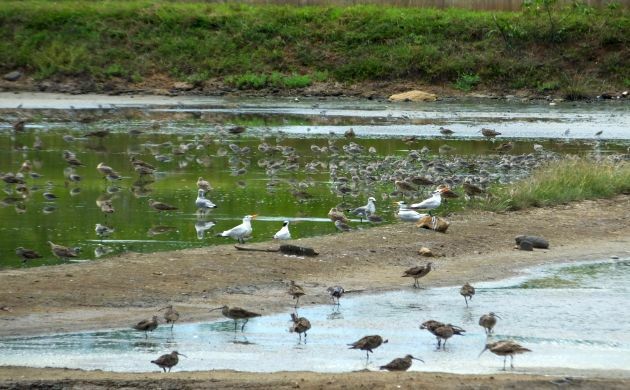 It’s not rare to see a hundred of so in concentrations of shorebirds. I can hear their haunting calls as I write this. Lots of Semipalmateds come to Costa Rica along with fair numbers of Wilson’s. 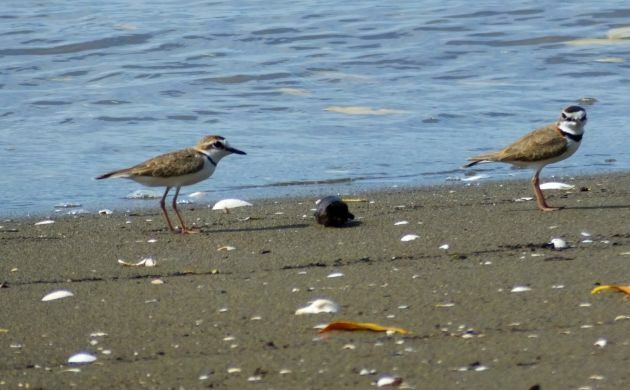 The resident Collared Plover can also be seen sharing the field of view with the two birds mentioned above but there’s usually just a few of them. 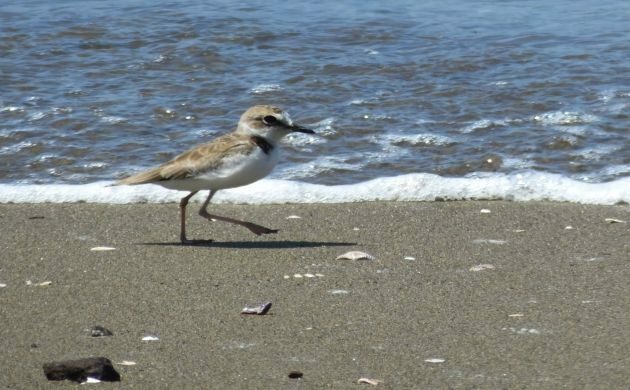 Snowy Plover can also occur but it’s an excellent find, and there is one record of Piping. I bet even Common Ringed has stopped in Costa Rica but how many local birders would know what to look for to recognize it? The same can be said for Red-necked and maybe even Little Stint. 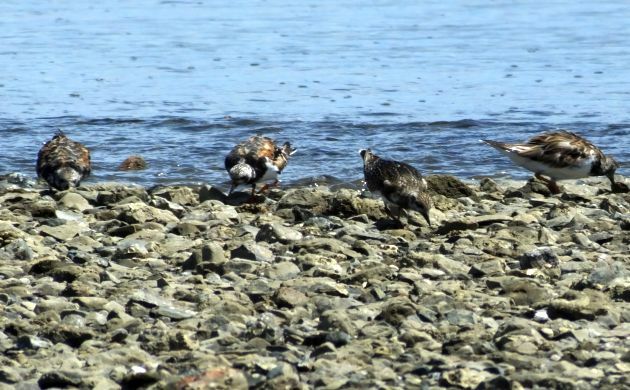 While scanning numbers of the shorebirds mentioned above, we also hope for less common yet regular species like American Oystercatcher, American Golden Plover, Killdeer, Red Knot, Dunlin, Pectoral Sandpiper, Surfbird, Stilt Sandpiper, Wandering Tattler, Long-billed Curlew, and phalaropes, especially Wilson’s. 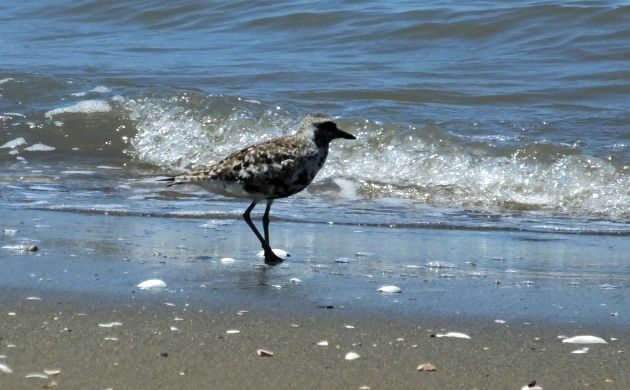 Do a couple days checking a few choice spots in the Gulf of Nicoya and a birder focused on shorebirds in Costa Rica could find all of the above and maybe even hit the jackpot with a Curlew Sandpiper, Ruff, or the country’s first Sharp-tailed Sandpiper (one showed in Panama!). I hope I get the chance to look for such jackpot birds during more focused shorebirding soon and during the winter months. I’m sure I’ll see some good stuff and the waders will be calling. Great post Patrick! It must be so exciting to live in a country through which all four bird migration flyways converge! You have an amazing collection of birds in this post and I can’t imagine how many species can be seen during fall migration. But to this future first time visitor to Costa Rica, when does the Spring migration get underway? Where Are You Birding This First Weekend of March 2015?